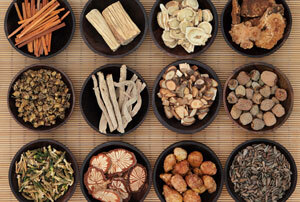 Herbology is the ancient art of identifying medicinal herbs to address a patient’s particular conditions. The first book found on Traditional Chinese Herbal Medicine “The Classic of Materia Medica – Shen Nong Ben Cao Jing” was compiled in the era of the Qin and Han dynasties, circa 206 B.C. Chinese Herbology utilizes all of the parts of plants, including the leaf, stem, flower, and roots. The herbs are classified into different properties of temperature and taste. Temperature characteristics are warm, hot, cold, cool, and neutral. Characteristics of taste are sour, sweet, spicy, astringent, bitter, salty, or neutral. Each herbal prescription is a combination of different herbs that resolve the underlying root cause, restoring balance and harmony naturally.